I love the way this couple thinks and the way they live their lives! They plan things.... and they do it well with excellence. From the beginning when I met TaNekka at David Tutera's Bridal Show, she had class and taste! I respect the way they plan things ahead! We met them summer of last year... her wedding isn't til 2017! They're on top of things... they know what they want, make their decisions, do everything ahead so that stress is limited and fun takes over. 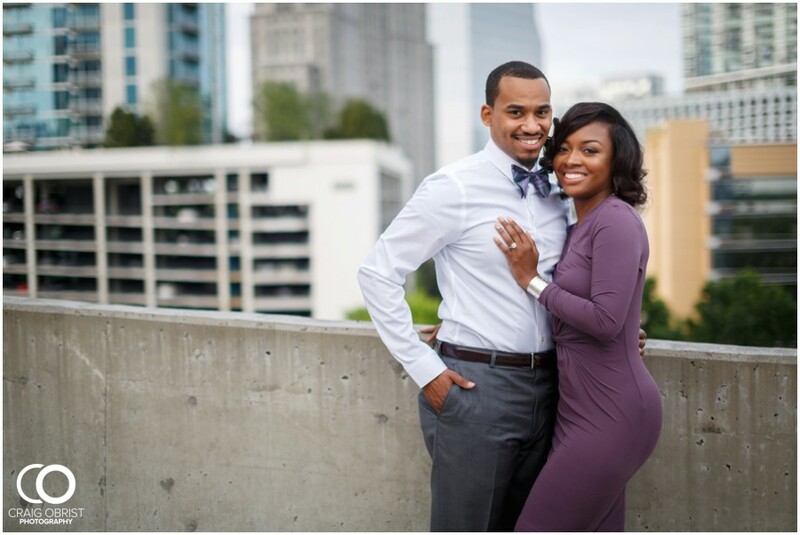 Even with her engagement shoot, her fav place was the Swan House in Atlanta, so Swan House it was! Bam! She made the arrangements and here we are now blogging about it! Believe it or not, I've been in this business for almost 7 years, and this was my first time ever shooting at the Swan House. I've always wanted to, but I guess the perfect couple had to come along because this shoot was just amazing! We usually do our engagement shoots in the evening around sunset time, but because there were time restrictions at the Swan House, we did it first thing in the morning. We all fought through the crazy Atlanta morning traffic on a weekday and got some incredible shots! And, you know how I mentioned 'class'? Well, are you seeing how they dressed themselves for this??? Oh yes, celebrities indeed! She wore Sherri Hill and he wore Michael Kors. So niiiiiice.... You can see that they put so much time and effort into making these outfits come together so nicely... and yes, they are a good looking couple, right?? I know... I need to calm down... but, I'm just so excited to be sharing these pictures with you all. TaNekka and Robert, thank you for making this experience so enjoyable. You guys looked fabulous and I hope that you love these pictures for many years to come. If your engagement shoot was this fancy, I just can't imagine how incredible your wedding will be! See you guys next year again for the BIG day!